The historic Isaac Bea Young 1840 House is located close to EVERYTHING in Chatham: Downtown shopping, Chatham A's baseball, restaurants, children's beach, parks, churches, playground, tennis, bike path, community center, grocery store, post office and golf course-- all in easy walking distance. This is the perfect Chatham location. This lovely estate has a very large garden area with old growth trees and perennial gardens everywhere and unexpected water views. The home was formally the Isaac Bea Young Gallery with lovely pumpkin pine floors,antiques and original art to grace the walls, this is not an ordinary summer rental. It is a local historical home that has been lovingly restored and shared with many special visitors. This is not an ordinary summer rental: My guests have loved this spot so much that many families repeat each summer. We strive to have our guest be as comfortable as possible. All is in the thoughtful details. Other Activities: SEAL WATCHING/ NATIONAL WILDLIFE RESERVE; SUMMER BAND CONCERTS; MONOMOY THEATRE. OCEAN BEACH. THIS IS A LOVELY SEASIDE COMMUNITY WITH SEVERAL LIGHTHOUSES AND WONDERFUL BEACHES. SUMMER BASEBALL PLAYERS ARE HARVEST FOR THE BIG LEAGUES. Welcome to my family estate. I am the caretaker and tempory steward. I am an artist and avid gardener,. Grandmother, Mom and caregiver, RN. Location.Walking distance to nearest beach. This wonderful estate is in the center of town with spacious outside space in many garden and guest areas. Amenities: , picnic table, gas grill, beach chairs and 2outside shower. On Main Street one of the very few homes with water view and walking distance to the water, fish pier, light house, restaurants and shops. We are across the street from the ball park where the Cape Farm leagues show off their best new baseball players. My home is light filled and there is thoughtful attention to all details and cleanliness. Location is across the street from the Ball Park where summer leagues play, In town location with water view. Nearest beach only 2/10th of a mile walk. Large garden spaces where organic vegetable and herbs are grown with added interest of chickens and the Chatham Hare Rabbitry Also a mini orchard of espalier apple and pear trees. This is a very unique location right in the center of town. . It includes history, beauty and access to all the shops, restaurants, theaters, ball field and playground. Just park and never have to deal with the traffic once you arrive.. Literally everything including a full service laundromat, pharmacy and grocery is within walking distance. There is one 1/2 bath off of the pantry downstairs and a small well designed bathroom upstairs with a ball a claw footed soaking tub with hand held shower. It is small however. The outside shower was designed for total privacy while you get to look out to the water while showing in the sunlight. All the guest rave about the outside shower space. My home is in downtown Chatham with water view. Walk to everything. Shops. theaters, restaurants, beaches, lighthouse, fish pier, grocery, pharmacy, liquor store, ballpark, golf course etc etc. My house is in the centre of Chatham which is surrounded by ocean on all three sides. The closest beach is 2/10ths of a mile of which we have water views ! We are only 2/10ths of a mile walk to the closest beach of which we have waterviews. We are across the street from the Cape Cod Farm League at Veterans Field and walking distance to everything in town!! Oyster Pond is a salt water bay that is connected to Nantucket Sound threw the Oyster River Stage Harbor connection. This is one of the few estates in the center of town that has water view of the Oyster Pond that is actually a bay originating from the Nantucket Sound. mitz units keep it cool . The community center across the street has a fitness room available. The living room is airy, light filled and comfortable with plenty of sitting spaces. A full pantry with serving dishes and many extras. with fully supplied pantry. Thoughtful details paid to cooking needs. Some spices supplied and current. Inside or out on the deck or picnic table in one of the garden spaces. games are located inside the trunk in the living room. The gardens are a must see! Public and private near b​y. Public golf link located on Seaview Street. This wonderful in town location is beautifully decorated with antiques and original oil paintings. The outside features beautiful gardens including an organic vegetable and herb garden. This historical home is located in the heart of Chatham within walking distance to all vacationers love. We had a great weekend stay at the Isaac Bea House. Loved being able to walk to Main Street. Absolutely lovely! 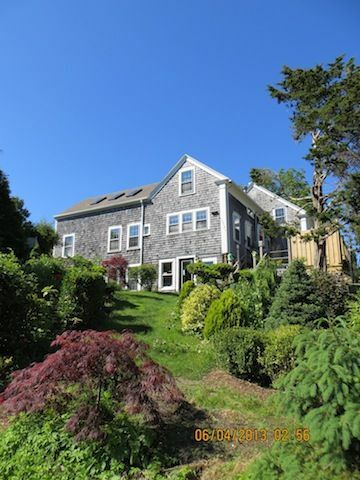 Perfect location in a true cape cod town! Perfect location, right in the heart of Chatham! The home is meticulously clean and organized. Everything you could want or need is there, from dishes, glasses, coffee maker, and of course a corkscrew ! You can go out on the town and enjoy the many restaurants that are walking distance or have a night in like we did and enjoy the beautiful kitchen and grill out. We would stay here again in a heartbeat and Janet, the owner is just a lovely, friendly woman who goes out of her way to make your vacation the best experience. I rented this for a extended family getaway. It is pleasant and charming. I loved being able to walk downtown. My 3yr old granddaughter wants to return. Have already been contacted by this family who would like to book ahead for next summer! Everything about our stay was wonderful... the house was charming, immaculate, well appointed. The location is convenient to everything - but the best part was the hospitality shown to us by the owner, Janet, who was respectful of our privacy but available to make sure our every need was met. Highly recommend staying at this property! Her home is beautifully decorated with gorgeous antiques, original paintings married with new decor such as high end bedding, not to mention NEW beds and pillows. Our morning coffee was spent sitting on the deck with views of Oyster Pond, walks on the large property visiting her bunnies and chickens then finished off with a a hot shower outside. This property, conveniently on Main St., is directly across from the Chatham A's baseball, all stores such as a pharmacy, grocery, liquor and high end decor and clothing. Minutes walk away: library, churches, incredible restaurants, art galleries and of course the ocean!! The home was well stocked with towels, soaps and books - everything to keep her guests comfortable. Without a doubt, I would recommend this property. I already miss standing in the kitchen looking out on the gardens, Oyster Pond and that incredible ocean breeze. Thank you Janet. You made our stay in Cape Cod most memorable. We will be back. Thank you for your wonderful evaluation of my home. This was the cutest, most relaxing place I have stayed in Chatham. I found this gem when I was planning my wedding and looking for a place for all my bridesmaids and I to sleep and get ready. The pictures of the backyard sold me, but I soon realized this place was so much better than the pictures. This place is literally across from the Chatham A's field, close to the CVS, Village Market and Main Street so you can walk anywhere. There is also a good sized driveway, so 2 or 3 cars can park there. The first morning there was like a dream. We woke up to bunnies in the yard, beautiful flowers everywhere and the sounds of the bay. The outdoor shower has hot water which was AMAZING. The beds and bathroom set up is great. It was perfect for hosting a small brunch. I have no complaints about this rental and can't wait to have future stays here. Unique Antique Intown Location with spacious garden spaces. charm and beauty of what one expects of old Cape Cod. Chatham Light house which is 9/10th of a mile from this location. early to get a place is encouraged.